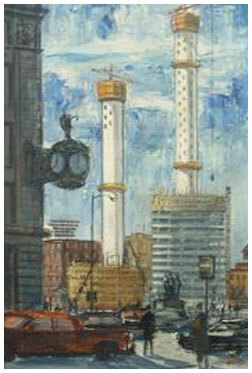 “Marina Towers Under Construction” was painted by Chicago Artist George Yelich over 30 years ago. Mr. Yelich was fascinated by these buildings. The painting is from the view of the artist, looking up from the south east, over the river at the construction site..